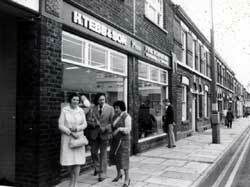 Founded in 1946 by Hubert Tebb and quickly establishing a reputation for a high quality service the business grew from strength to strength. John joined his father after leaving school and together they excelled in their craft. 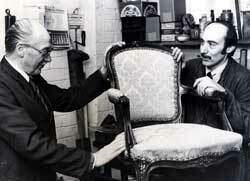 In 1986 John’s son Richard joined the business and applied his skills in the upholstery department. Today John and Richard are joined by business partner Bryan Heyes who specialises in cabinet making. The current team has been together for over 25 years which has allowed us to maintain the high standards set for us by Hubert over 60 years ago.